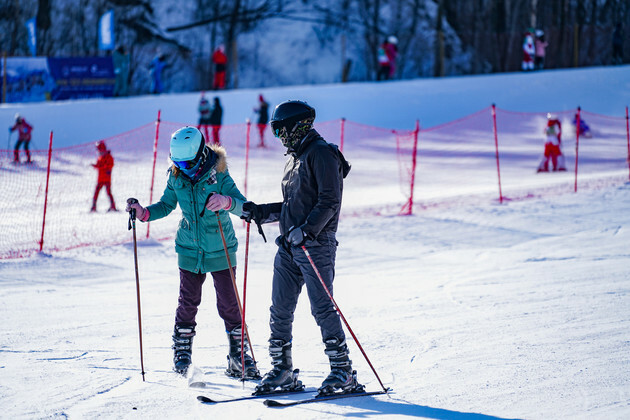 Jan. 28 (NBD) – Stimulated by the coming 2022 Winter Olympic Games in Beijing and supportive government policy, China's skiing industry is seen by many as a sector ready for explosive growth, yet the reality falls behind expectation. Starting from 2015, the numbers of domestic skiing resorts and skiers have decreased for four consecutive years, according to a white paper on China's skiing industry. Moreover, one-time skiers make up the majority of the total consumers. In 2018, 75.38 percent of the 13.2 million skiers hit the slopes only once, and the proportion for 2017 is almost the same, revealed the white paper. It is also noted the average times that visitors went skiing at resorts were only 1.49 in 2018. Laurent Vanat, a skiing industry expert from Switzerland, expressed his worries about the future of the Chinese skiing market. He referenced to South Korea, the host of the 2018 Winter Olympic that has seen five to six consecutive years of skiers decrease. China might have to face the same risk if no attention is paid to the issue of skier retention, said Vanat. Wu Bin, vice chairman of Beijing's skiing association, said to NBD if the majority of consumers only seek one-time experience, other sectors along the industry chain like equipment manufacturing cannot sustain. Li Xu, son of the founder of a domestic snowboard brand, told NBD the company's sales growth has kept at around 20 percent for the past few years, and the anticipated exponential growth brought by the Winter Olympics did not happen. A major reason that skiing will not become as popular as table tennis or swimming is the price. A regular set of equipment usually costs more than 10,000 yuan (1482.1 U.S. dollars), and that's beyond the means of ordinary consumers, Jin Yubo, coach of national youth team of skiing and mountaineering and a former skiing athlete, told NBD. Jin is also a co-founder of a skiing club in northeast China's Jilin Province. He said 75 percent of club members are enthusiasts with outstanding financial resources. But they represent only a small faction of the total. Apart from affordability, the complexity of a skiing trip can have negative effects on consumers' experience. According to online ticketing platform Meituan, the overall rating of China's skiing resorts stands around 3.6 in a 1-5 scale. The complaints could come from any detail on a skiing trip, not just the process of skiing per se, said Vanat. An issue as minute as cold chairs on lift could disappoint a consumer. China's skiing industry has to refine and improve its services, but it still has a long way to go, judged from the status quo. Wu Bin hopes to turn 80 percent of those one-time skiers into lovers of the sport, but as he admitted it is not an easy task, since it requires massive promotion efforts and the ability to draw on large scale of resources. Many industry insiders bank on fostering skiing habits of teenagers. Indoor facilities, dry ski slopes, and ski simulators that enable the sport to enter cities and southern China are also viable options. Indoor skiing slopes, for example, have increased by over 20 percent year-on-year in 2018, when the growth of outdoor slopes and skiers slowed down, the above-mentioned white paper revealed.